If you're heading for the movies, what is it that you always initially think of, aside from which movie to watch? Snacks!!! And what do you normally have during the movies? Popcorn? Fries? Well, the Caravan Food Group has dropped a bomb that'll forever change the way we snack. 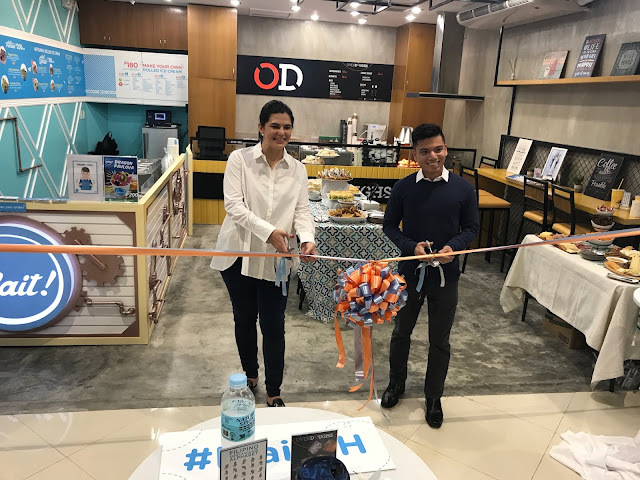 The Caravan Food Group first opened Overdoughs, their newest food stall at Century City Mall last June 2017, and has now branched out to Ayala Malls the 30th. 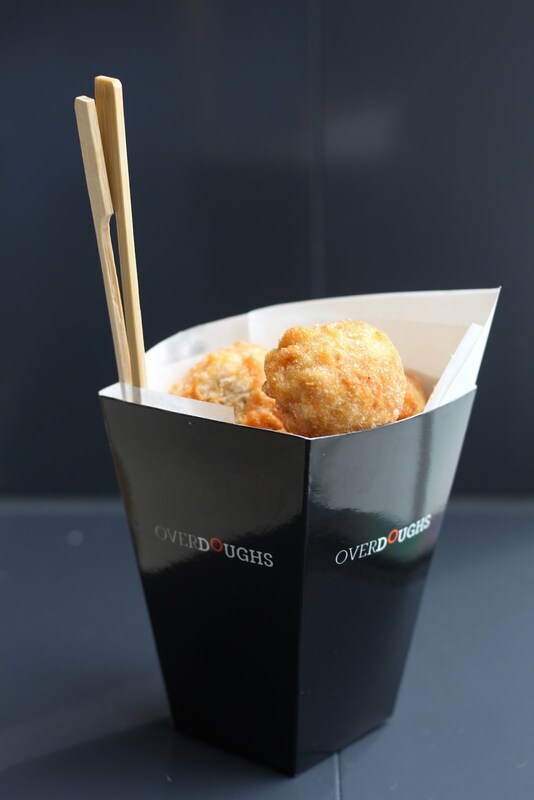 The concept behind Overdoughs is to give customers something new to snack on while in the movies. 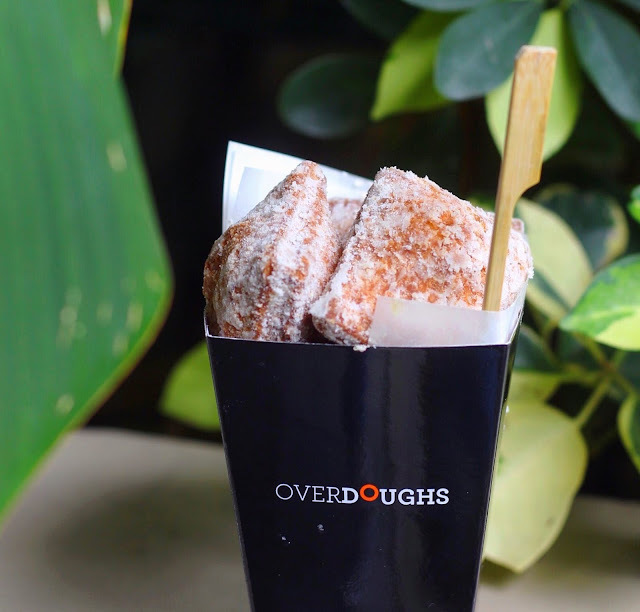 But if you'll ask me, there's no such thing as a right time to indulge in these bite-sized donuts, as its size and packaging makes it the perfect on-the-go snack too. They have just a couple of items on the menu, which makes choosing between the options a lot easier. 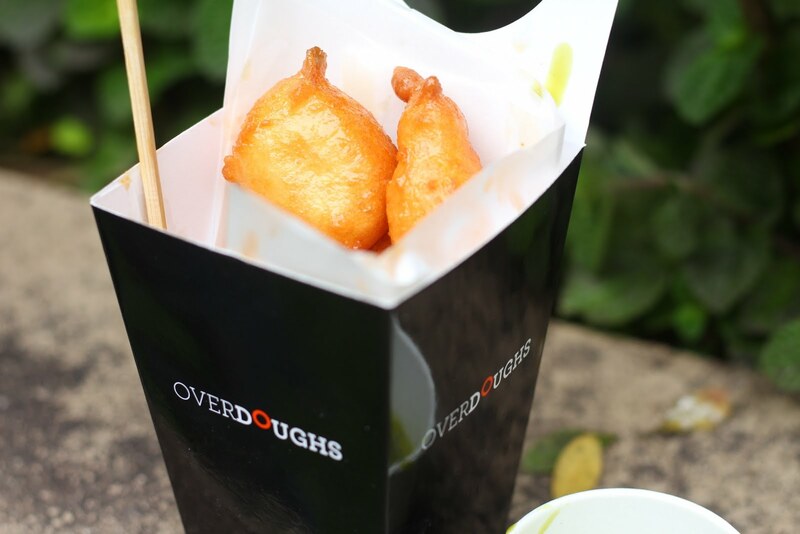 They have the loukoumades, a Greek donut coated in syrup before being deep-fried. They also have the beignets, which I've tried before, and as I've said on my previous blog post. It tastes like a classic, powdered donut, but with a dip, which makes it more amazing. They also have donut holes, which I haven't tried, but seem a lot similar to the beignets, minus the powdered sugar. In this visit, I've tried the newest item on their menu, the deep fried cookie dough. 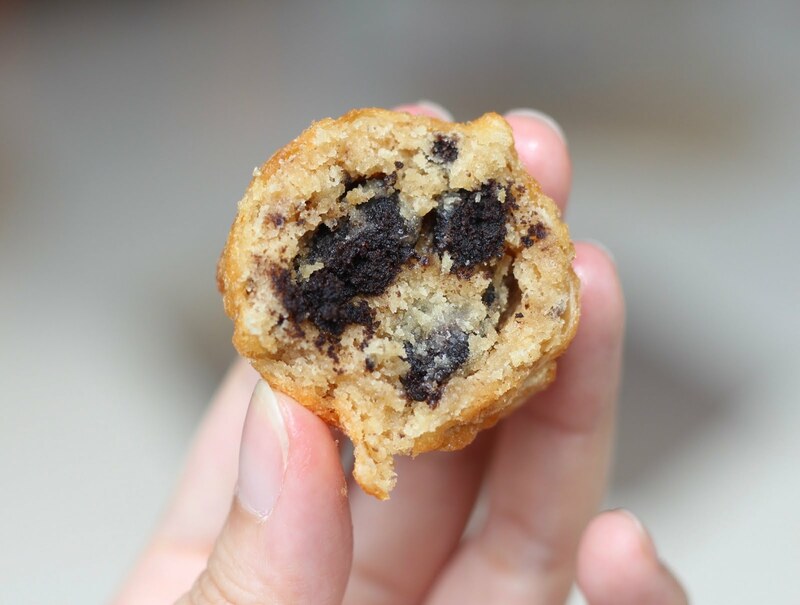 These new babies are available in oreo smores and cookie dough flavors, which you can both have if you order their "combo". 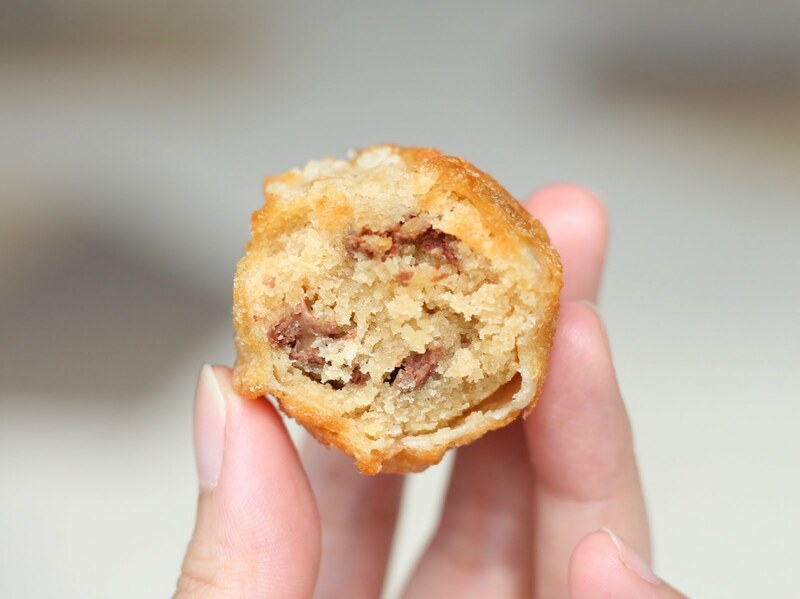 Crispy and sweet on the outside, but soft and moist on the inside, these deep fried cookie doughs will surely awaken the child in you. 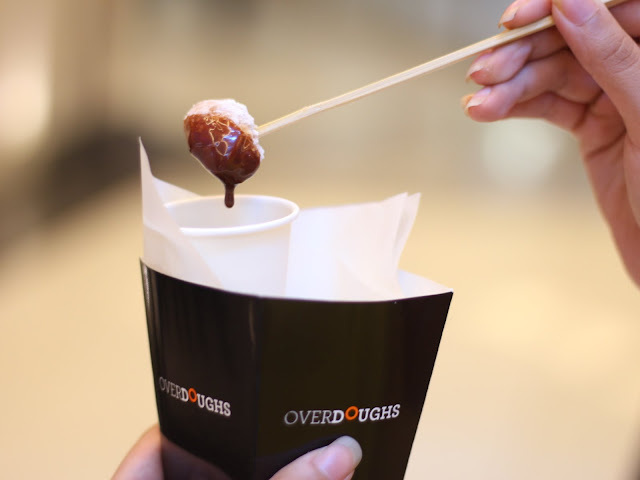 Overdoughs will be opening a third branch at SM Mall of Asia, a mall that's closer to where I work and live! This just means I get to eat more of these sweet donuts!